Full-time RVing isn't for everyone, but for many it's a wonderful way of life! 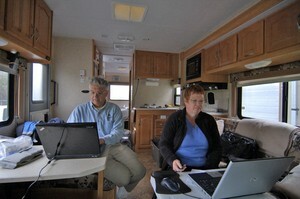 If you're thinking about RVing fulltime, then you'll appreciate the personal experiences & advice for new FT RVers here. See how to choose the right RV for fulltime RVing, winter RV camping tips, fun ways to spend holidays on the road, and RV office advice -- RV tax deductions, RV insurance issues, and clever ways to make money while RVing. 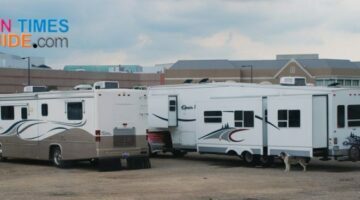 You'll find tips for downsizing your current RV for FT RVing, plus clever RV storage solutions after you've purged all your stuff in preparation for living in an RV fulltime, and ideas for living in an RV modestly & affordably. See how to forward your mail, vote, pay bills, do laundry, get healthcare, file taxes, stay fit on the road, pursue hobbies, travel with pets, and more. If it affects someone who RVs year round, you can bet we're talking about it here! Choosing A Mail Forwarding Service When You RV Fulltime: Here’s How I Do It… For FREE! 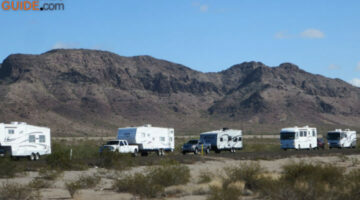 Why do RVers flock to Quartzsite AZ each winter? How much does it cost to stay there? What is there to do there? A fulltime RVer shares his experience. When it comes to closing up your house and downsizing your life to fit inside an RV, drastic measures must be taken. But living in an RV is worth it! 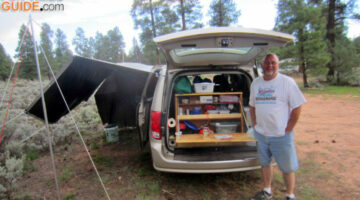 RV Living 101: If RV Travel Is Your Passion, There’s Always A Way! RV living is for anyone and everyone. See how I’ve managed to enjoy RV travel for years now, and how you can too — if that’s your dream. DIY RV Project: Convert An RV Bunkhouse Room Into A Laundry Room, A Pantry, Or A Closet! I turned our RV bunkhouse room into a space that was more usable to us: an RV laundry room! See how I did it… and how you can too. Health care is the one stumbling block that keeps many RVers from pursuing their desire to travel with no particular agenda. Here’s how to find health care when you’re on the road. If you want to take some leisurely spins through the campground or RV park — and be able to stop and visit with other campers along the way — then you’ll probably want to bring along an extra set of wheels that’s easily towable inside or behind your RV. 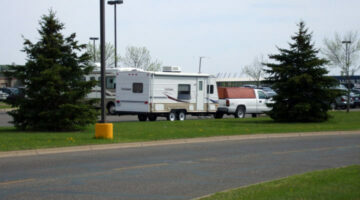 Here are all the best ways to get around RV parks and campgrounds. Full Time RV Travel Dilemma: Should You Keep The House Or Sell It? Here are some questions you need to ask yourself before you jump into fulltime RV travel. This is how worked for us. With a little planning, you will do just fine too. Your new RV interior will be a blank slate when it’s delivered to you. 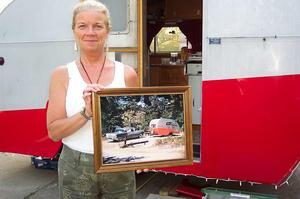 Hanging pictures is one way to decorate your RV and add your own personal touch at the same time. Here are 2 semi-permanent methods for hanging pictures on the walls inside your RV. As an RVer, doing your laundry on the road can be a real pain. 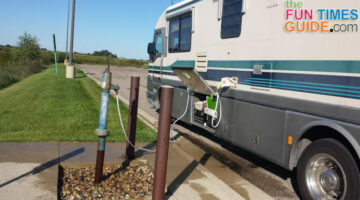 Here are some reasons to consider installing an RV washer & dryer. Plus, some features that you should look for when purchasing an RV washer & dryer — whether it’s an all-in-one washer/dryer combo unit or a stacked RV washer dryer. 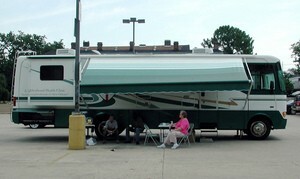 There are many decision that you must make when choosing the best RV for you. Think about your circumstances these other factors and then make a list of pros & cons of each type of RV. Thinking of fun things to collect from the states you’ve visited in your RV? There are all sorts of ways to do it. We’ve come up with a few ways that you can customize your state collectibles to your own tastes. 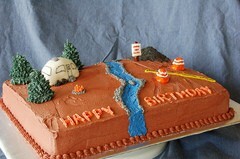 Having your kids birthday parties while RVing presents many opportunities… it’s time for an RV party! Here are some great ideas to help celebrate your child’s special day while on the road in your RV. 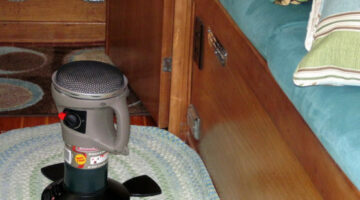 Winter RV living takes a little extra effort but really is a workable situation. It can even be quite cozy and romantic all bundled up against the elements in your comfortable home on wheels. RV Pet Issues – See Why Full Time RVing With Pets Is So Worth It! When my wife and I headed out as fulltime RVers, we had 2 middle aged cats and a small dog. They were never a burden and many times they were the life of the party — creating lots of fun memories. Here are my RV pet tips — before you go RVing with a cat or a dog. 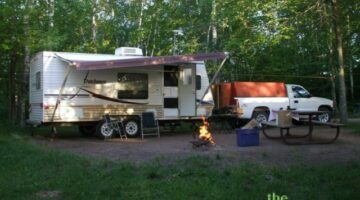 How do full time RVers simplify their lives? They only take what they need! Full time RVing requires ridding yourself of excess baggage. There just isn’t room to take it all with you. Here’s how to simplify your life and make fulltime RVing even easier.